What’s Happened so Far in 2016 and tid-bits for 2017 & 2018! One thing to say now is that if all of our fruit is delivered, we will make more wine in 2016 than in any prior year in De Angelis Wines history. Fruit included in the new contracts: Cabernet Sauvignon, Merlot, Cabernet Franc, Dolcetto, Syrah, Pinot Noir, and Chardonnay. That was indeed the case! We have harvested our 2016 Pinot Noir, Chardonnay, Dolcetto and Syrah, and while awaiting the ripening of other fruit processed it. All of these varieties have completed fermentation. How do these new wines look and smell? Great! the Pinot Noir is almost perfect from a chemical point of view as well as an organoleptic one. Every analytical parameter is text book. Ditto for the Chardonnay and the Dolcetto. The Syrah has completed a routine fermentation also. The Merlot and Cab were picked a couple of weeks after the Pinot Noir, followed by the Cabernet Franc. The 2016 wines will be bottled in June of 2018. Among them are Cabernet Sauvignon, Avanzi, Dolcetto and Pinot Noir. We have made our selections for 2018 fruit, and know that we will be ready to process this fruit, and make more great wines from the it. 2015 Harvest is just a very bad memory now! If it were not for the 40-70% reduction in grape yields, the harvest was uneventful. That’s the case if you ignore the fact that this was an early and either light or non-existent harvest The Cabernet Sauvignon we contracted for was never delivered since the grower had no fruit! The Merlot came in as contracted for with this same grower. The Cabernet Franc and Pinot Noir came in as expected. All in all we did much better than some colleagues who were very very short fruit. With the exception of the Cabernet Sauvignon, all the fruit we used to make our wines was harvested where we wanted it to be harvested. The Cabernet Franc, which constitutes the smallest percentage of our blend was a bit later than usual, but other than worrying about what the extra hang time would do, that turned to be uneventful. So what do we do now? We are currently planning on how to use our 2015 wine in the absence of Cabernet Sauvignon. We need to be creative, and that is what we usually are, so it should be interesting! There is quite a bit of work to be done during the elongated aging periods over the next two years. 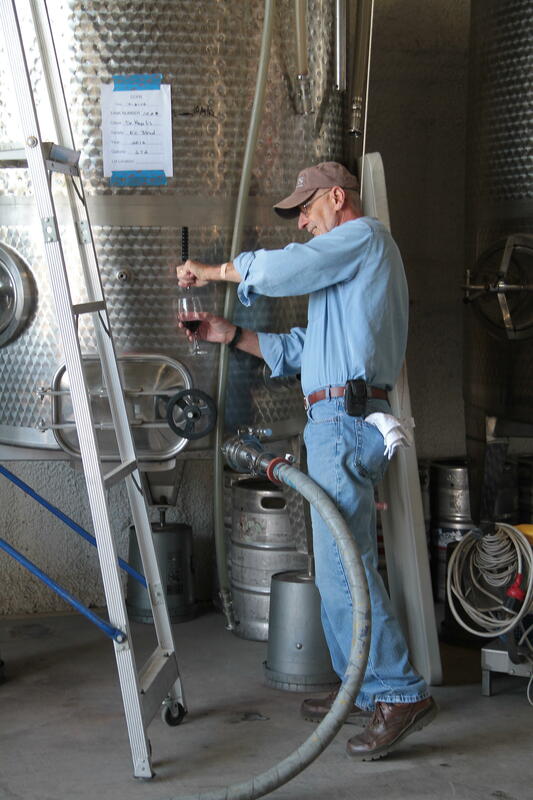 We use this time shape our wine and to hone our craft. To date, these extra steps have paid off. Recently we drank perfectly aged 2003 and 2004 Pinot Noir, as well as a 2004 Syrah and 2004 Cabernet Sauvignon. We believe that it is the extra steps taken in achieving a balanced and structured wine that allows us to lay wines down for that long. We occasionally think of selling some of the library wines — but actually would rather drink them ourselves. De Angelis Wines bottled 600 cases of our latest varieties and blends. the bottling was a bit more exciting than many since we introduced t2o new wines to the bottling truck. These were our estate grown Dolcetto and our first Chardonnay in 10 years! Both wines were produced in very limited quantities. The Chardonnay will be released in 4-6 months and the Dolcetto in 6-8 months. It will be expensive. We also bottled our 2014 Cabernet Sauvignon, and a 2014 Avanzi. The latter is a Bordeaux blend of Cabernet Sauvignon, Merlot and Cabernet Franc. These wines will be further aged in bottle for 12-16 months prior to release. To prove that we were actually there at bottling, we offer the attached photo. 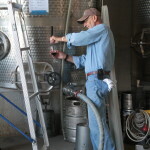 The old guy in the photo is me taking a sample of the wine prior to bottling that day. Even though we prepare the wines days before the actual bottling, it is always a good idea to taste the wine from time to time during the day. Of course that is a responsibility I take very seriously! For most people, next year begins on January 1st. Not so when one is a winemaker and/or a grape grower. For us, the year began on March 15th 2016, the day we noticed buds break in the vineyard. Beautiful baby leaves and buds like those seen at the right, bring a wonderful feeling of renewal to those of us who maintain vineyards – large or small. We end up walking through the vineyard pointing to plants, and acting like this is the first time we have seen this. Well it is the first time – this year! Actually it has been 12 years, but the miracle of these grape plants sprouting new, beautiful buds and leaves each year never ceases to amaze us, and make us even more convinced that there is a much higher power getting this to happen – it’s too perfect to be done by us. We are simply assisting in the operation. After the first couple of days, we stop marveling and remember that this is the time when all pruning should either be done, or at least far, far along. But for a few rows and some Dolcetto vines on the terraces that come to bud break a few weeks later in the season, our vineyard was about 80% pruned before the end of March. 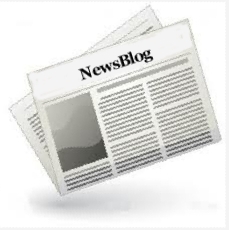 I am typing this NewsBlog note rather than pruning or spraying to prevent mildew the vines. Grape plants are coddled weeds that need sun and rain. Not much stops their growth each year. Thank God for that!